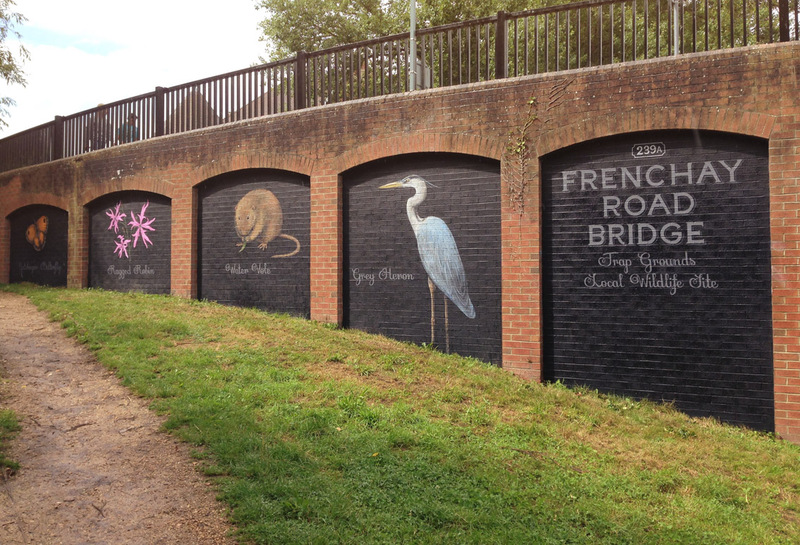 Our Oxford Canal mural project from 2016 created four large murals under two bridges. 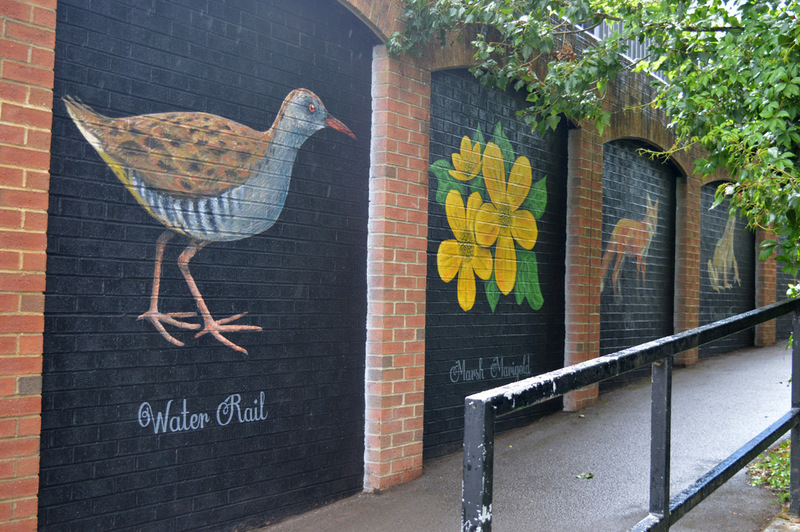 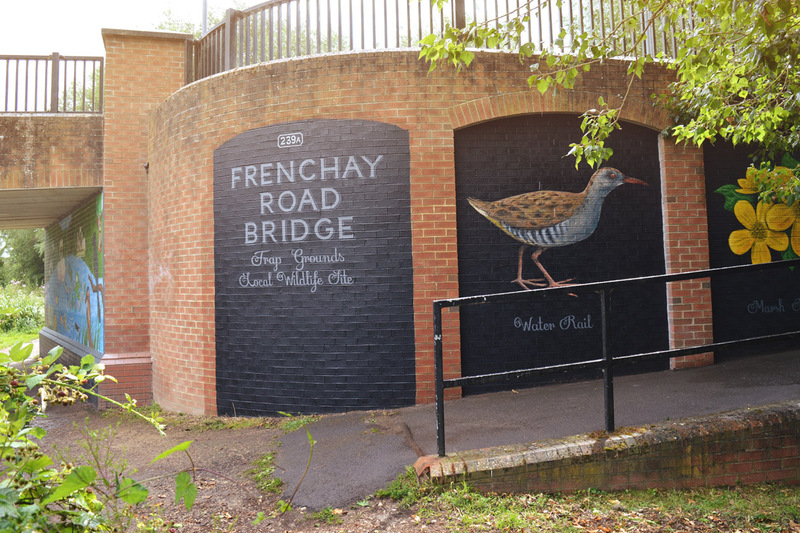 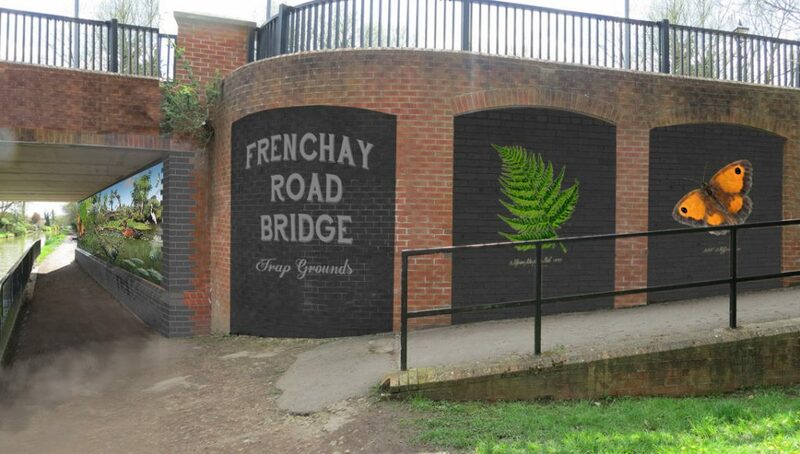 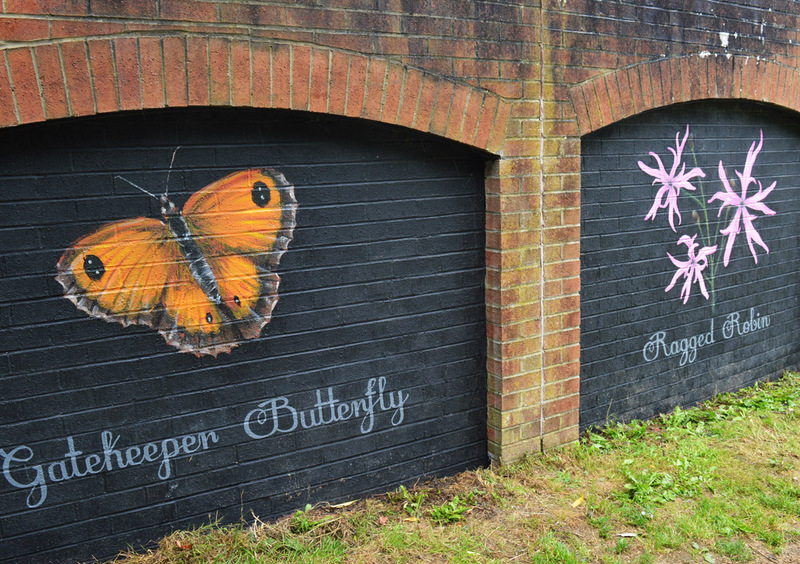 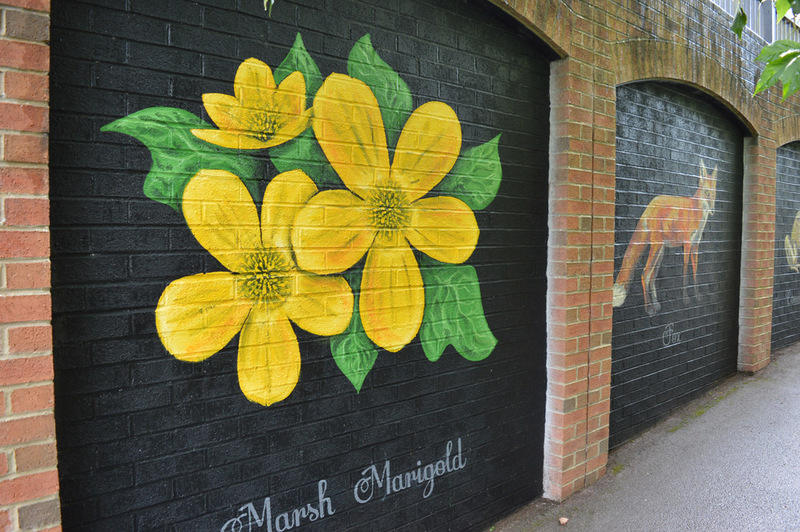 Frenchay Road bridge is adjacent to the ‘Trap Grounds’ Nature Reserve so these murals were themed accordingly with one based on school children’s paintings and the other a ‘photo-real’ Kingfisher. 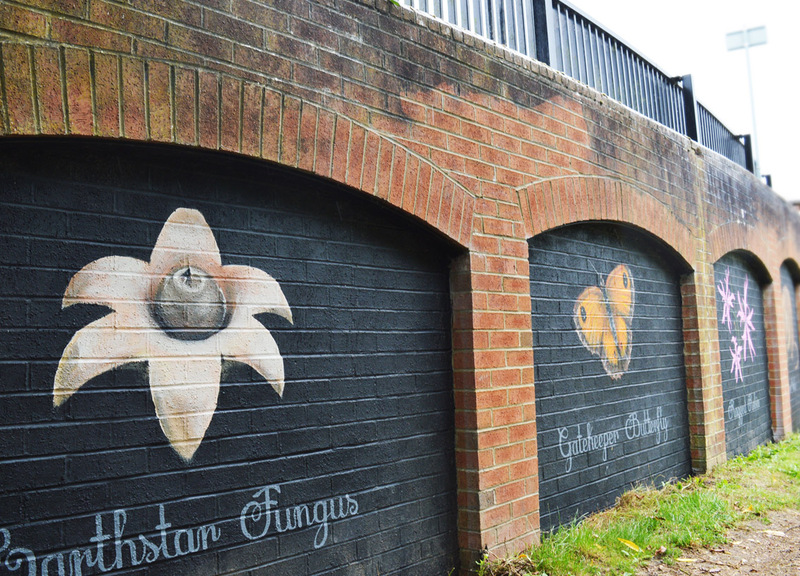 At that initial stage I had also designed the arches as an extension to the murals, to feature more flora and fauna- The vandalism that plagued this site spread all around and it was apparent to me that this would be a great addition. 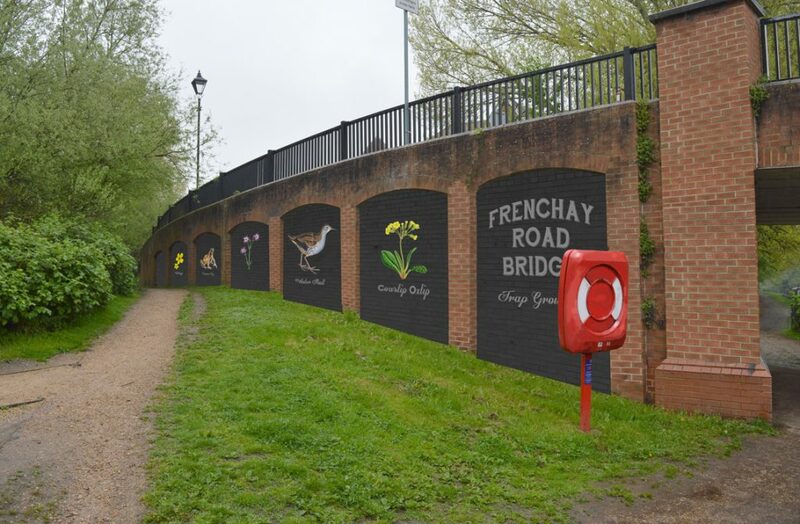 Following the success of the four main murals (produced summer 2016), we were commissioned less than a year later to return and complete this bridge artwork! 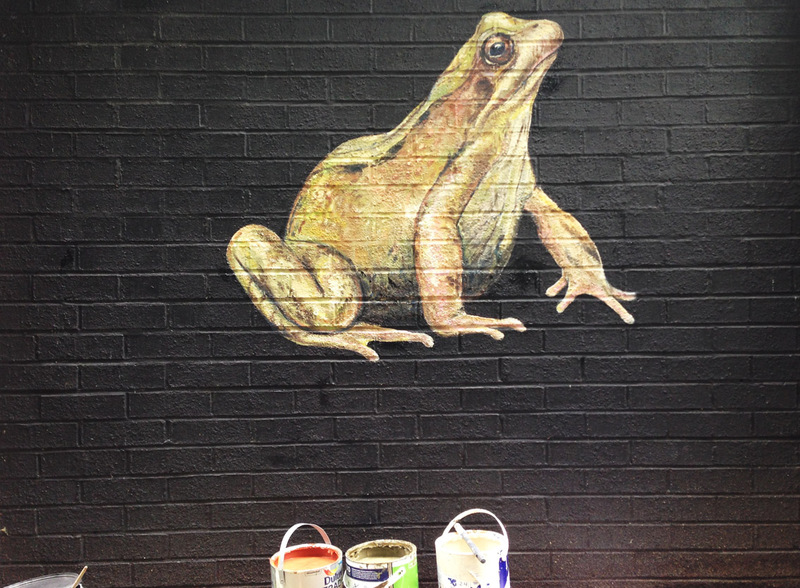 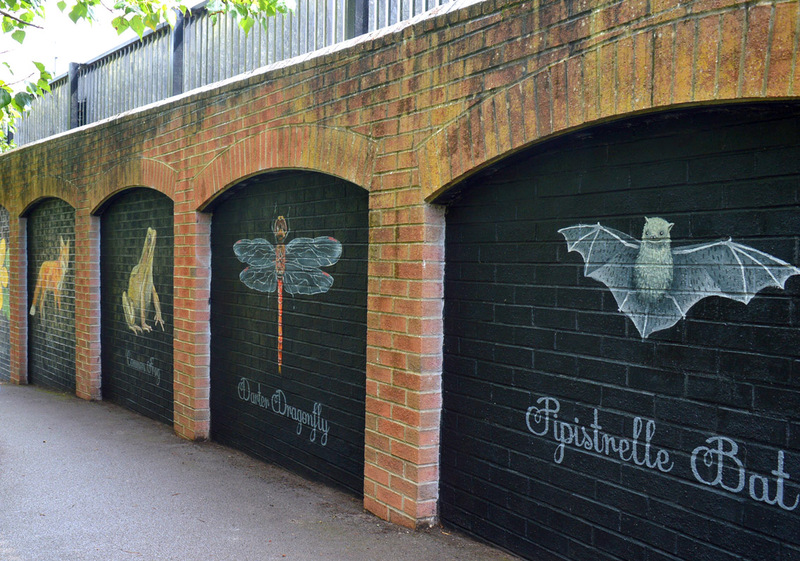 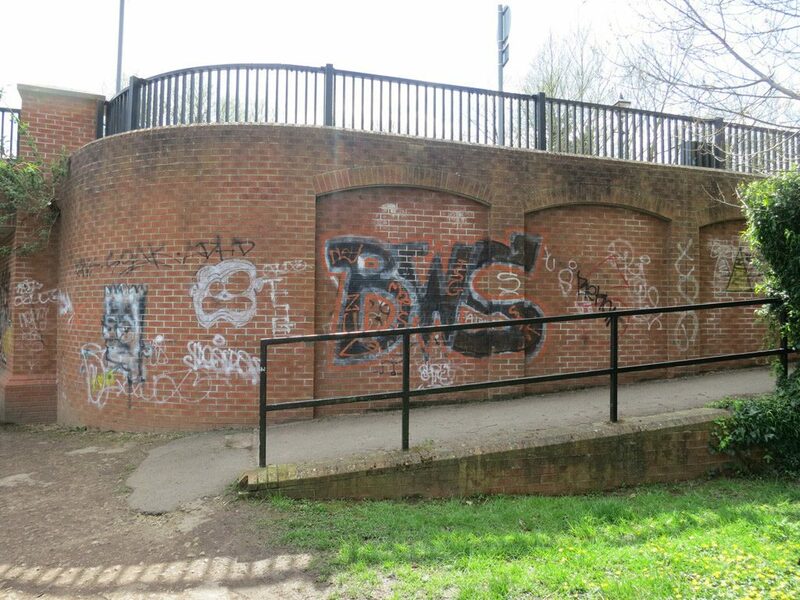 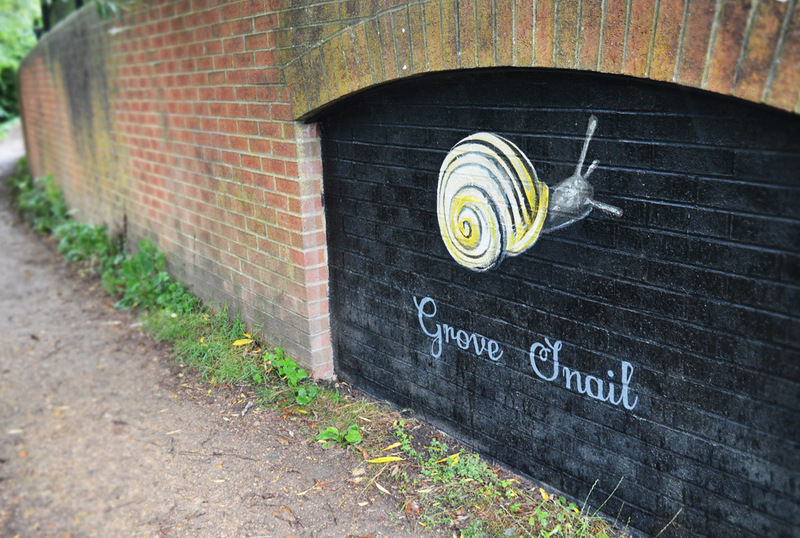 There was only a few changes to the initial design, with the Friends of the Trap Grounds Team choosing which animals and plants would be illustrated, and by prepping the arches with black masonry paint. 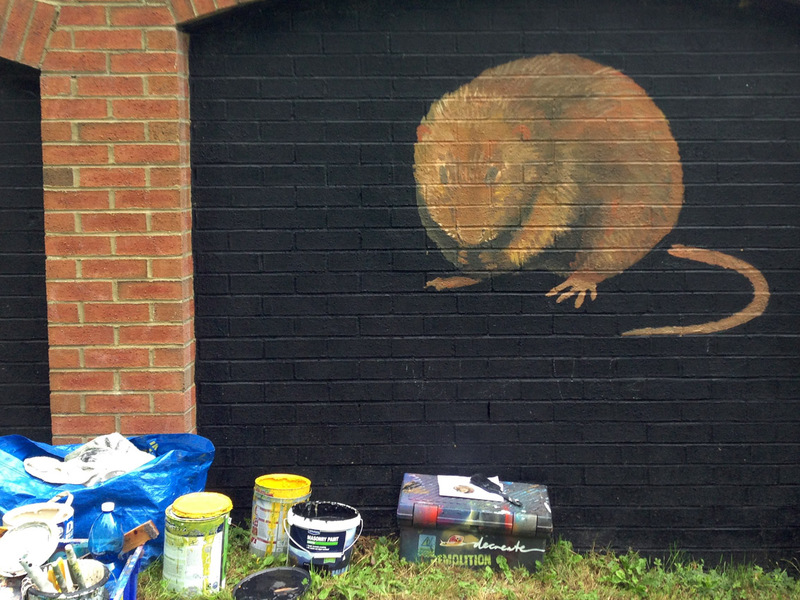 Tom Webb and I completed the work over 3 long days. 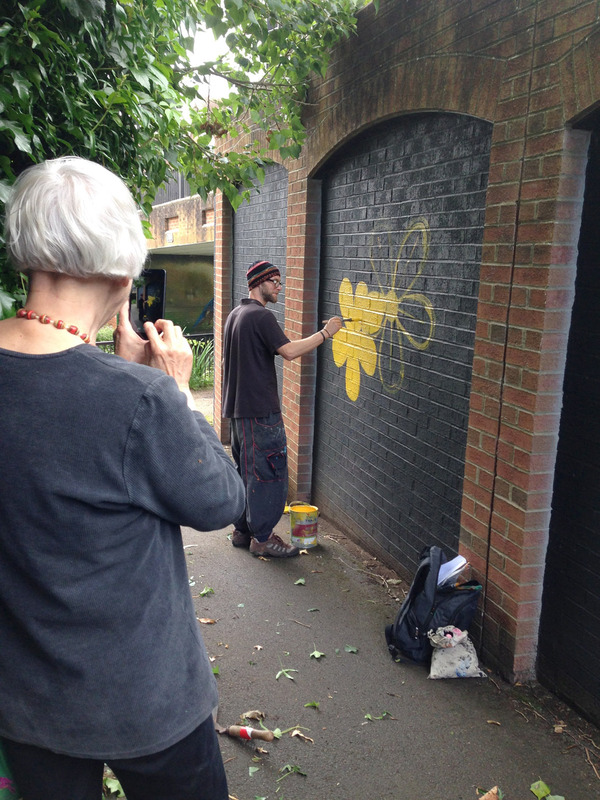 We shared painting duties and the feedback, support, encouragement and gratitude while we worked was very heart-warming. 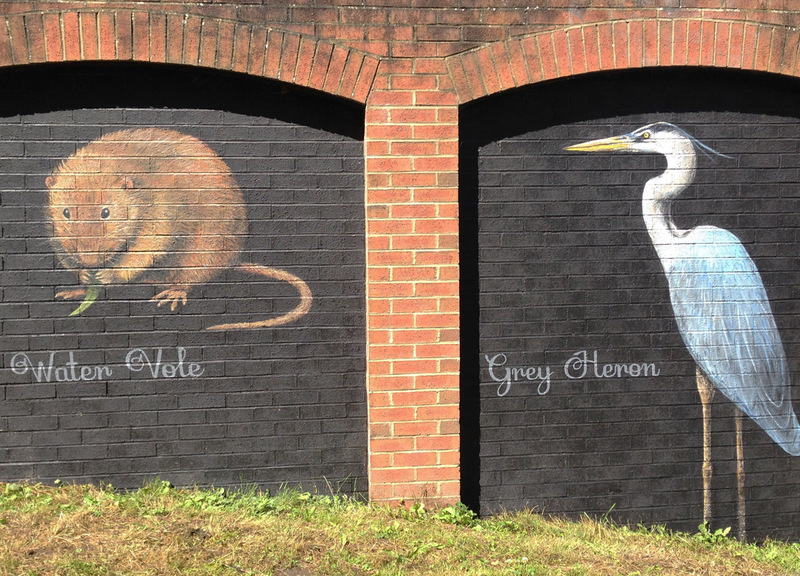 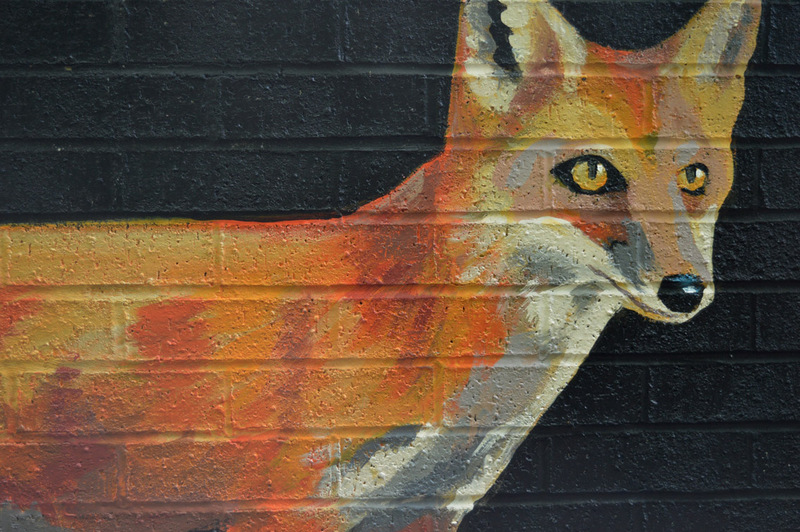 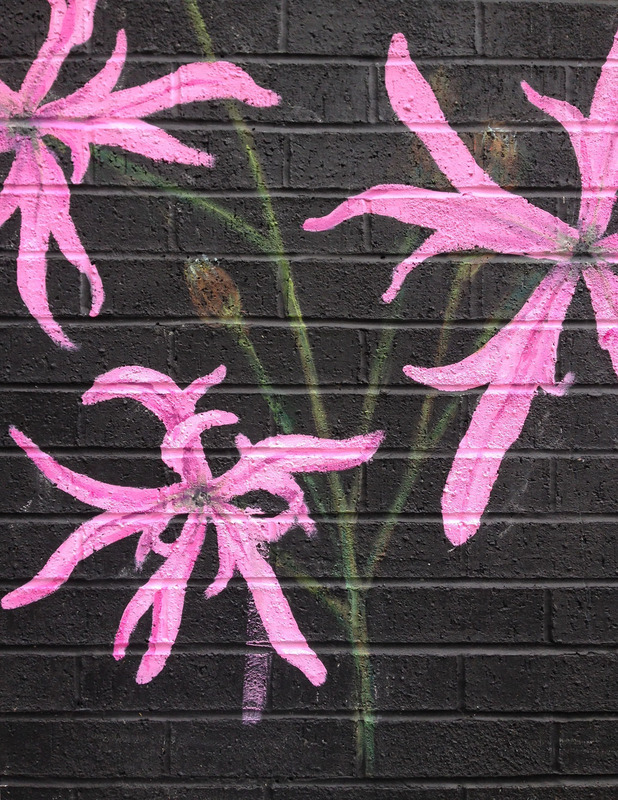 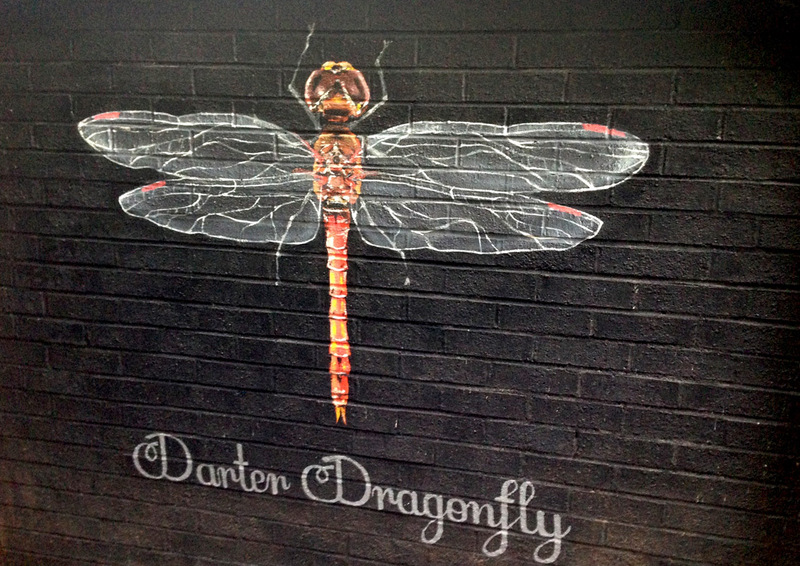 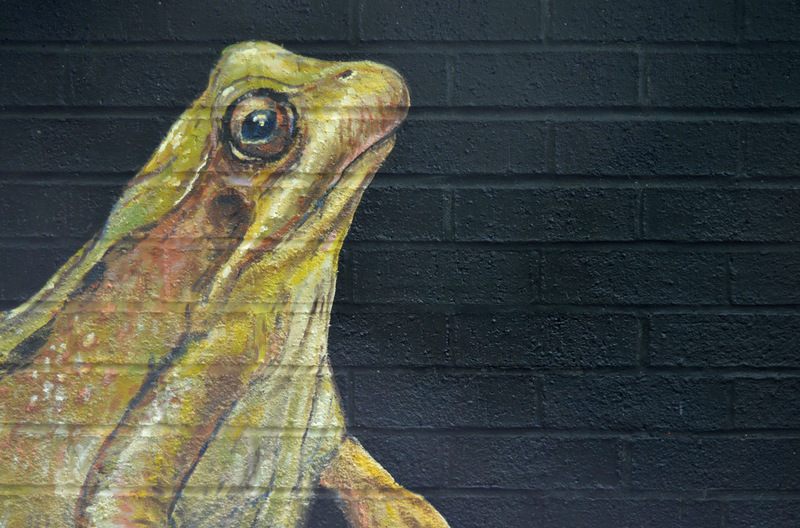 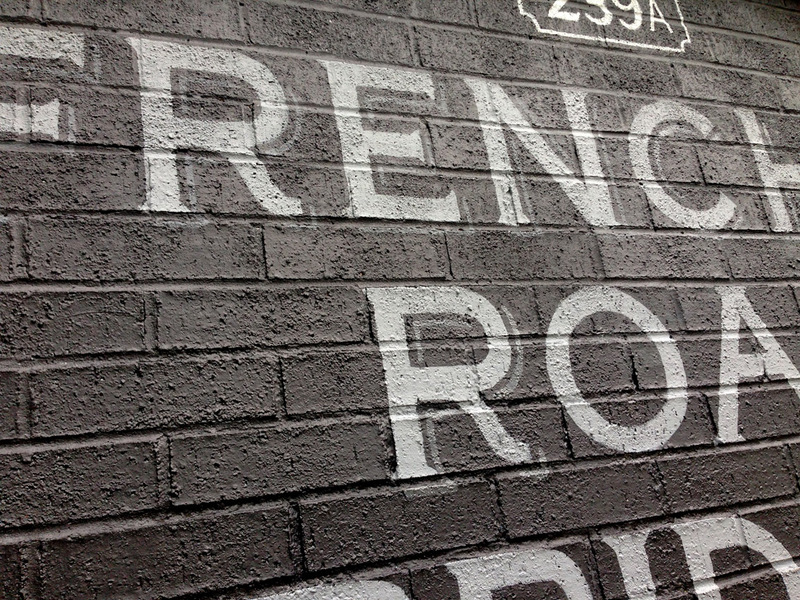 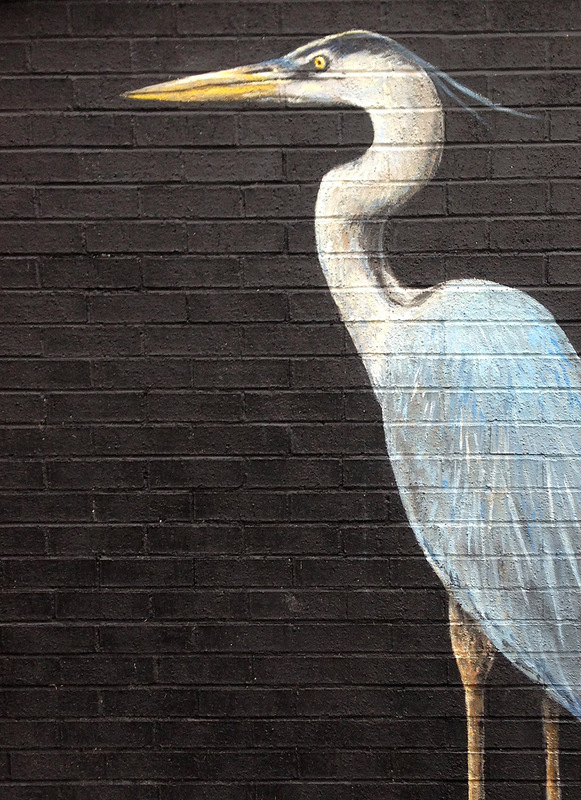 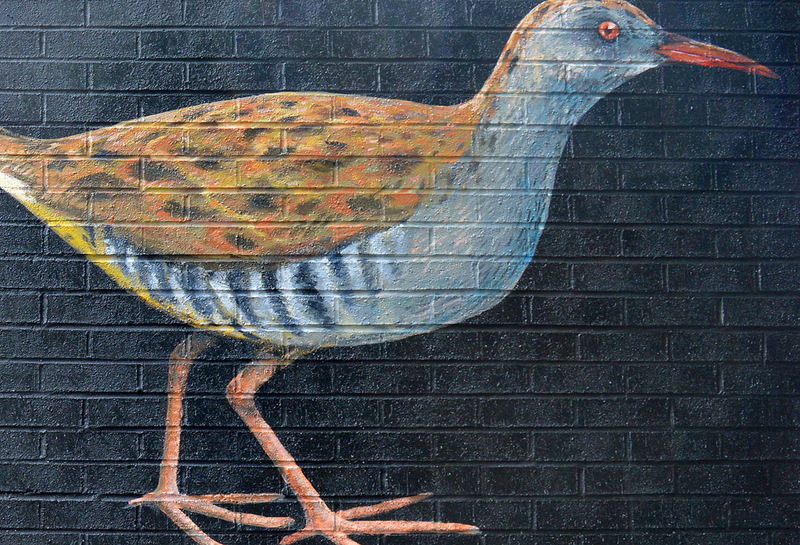 These public paintings brought local people together. 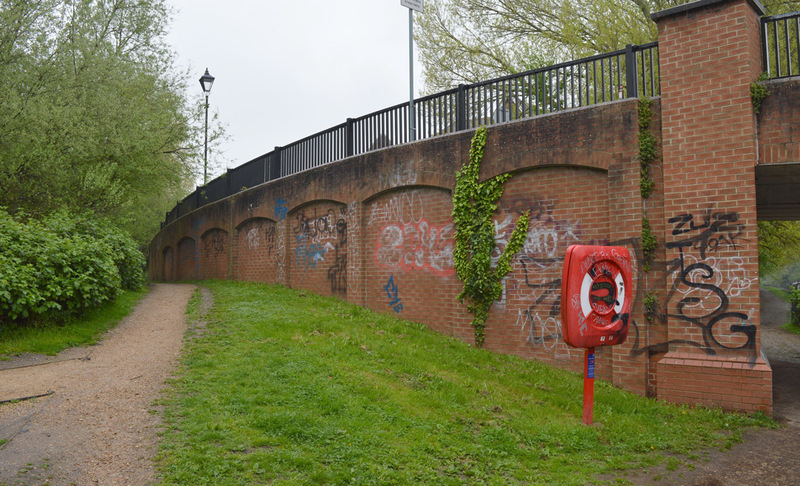 Whilst we were working, a film crew came to interview the team for the Canal and River Trust’s ‘Living Waterways’ Awards 2017, so watch this and get a good feel for the wider project. 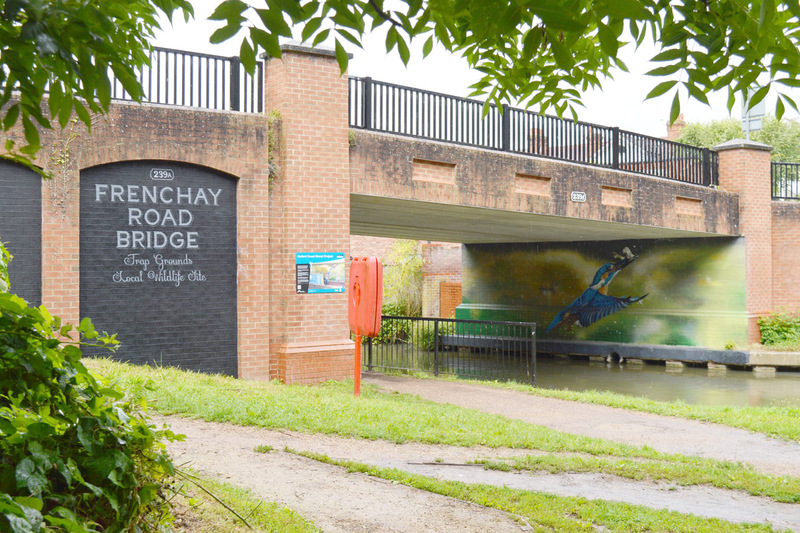 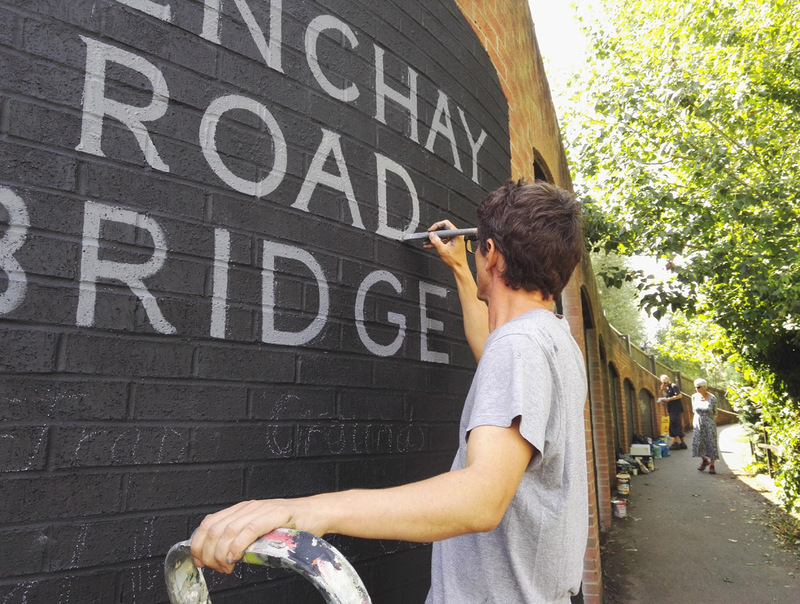 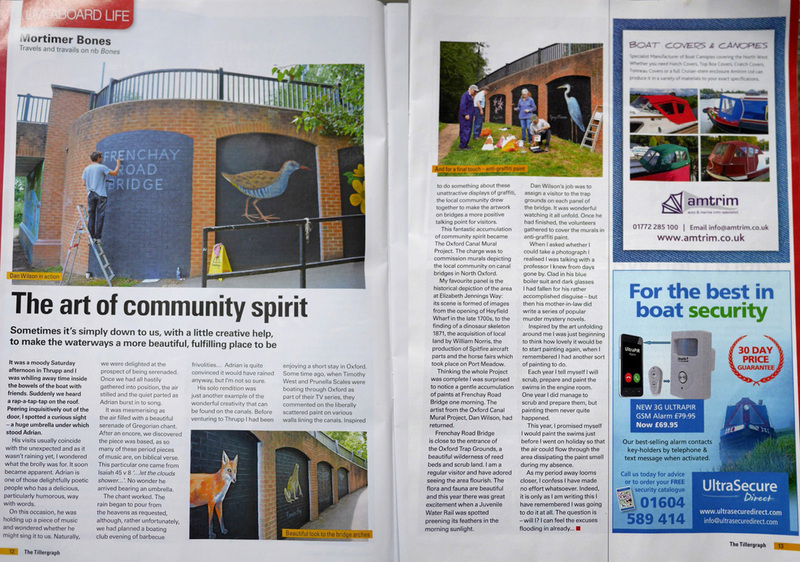 An extension to our Award-winning Canal Murals project: a bridge in Oxford is transformed into a classy artistic nature-themed local attraction.